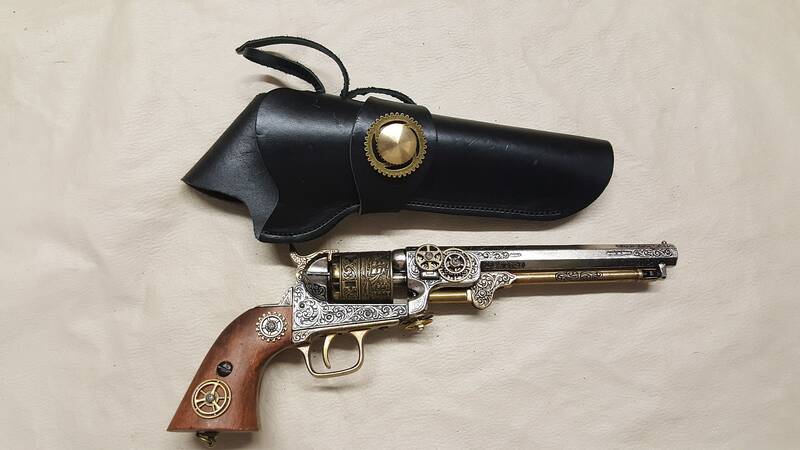 This is a steampunk version of an 1851 Navy Colt. 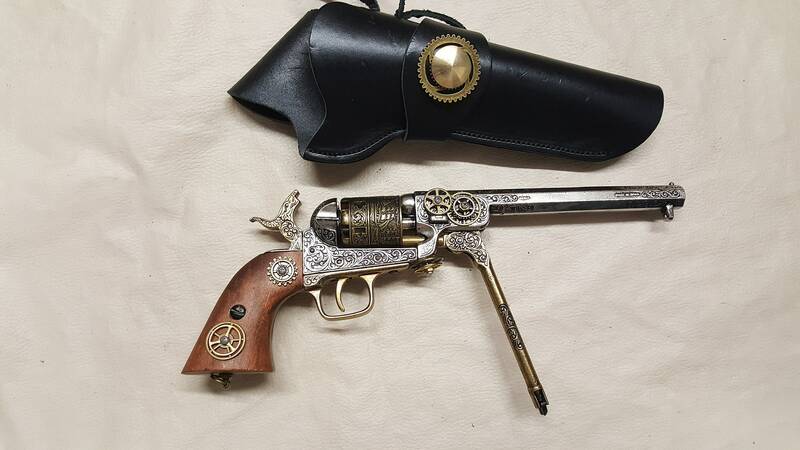 It was used by both the Confederate and Union troops during the Civil War. 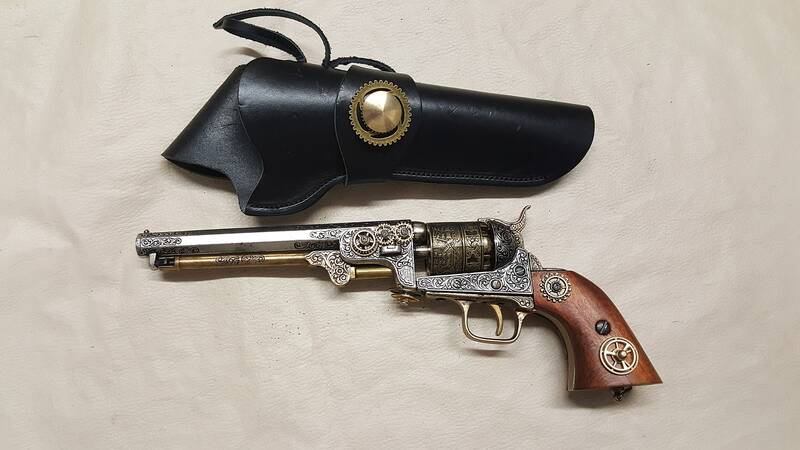 I believe the original was a .44 caliber black powder. It weighs approximately 2 lbs. 8 oz. 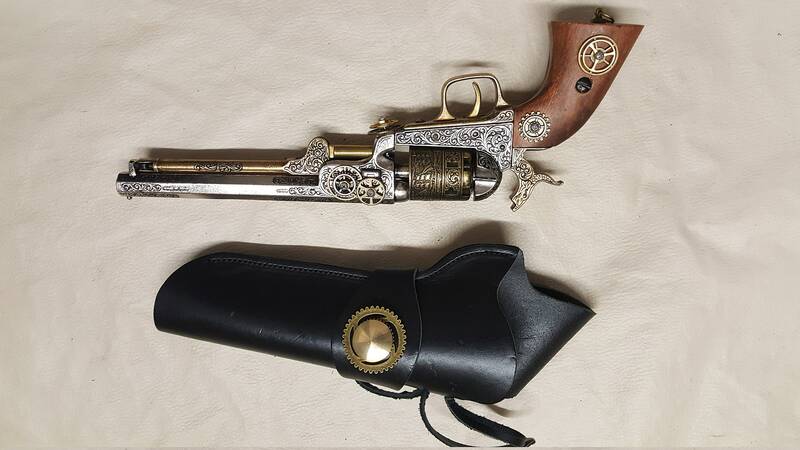 and is 13.5" long with a silver and brass finish. 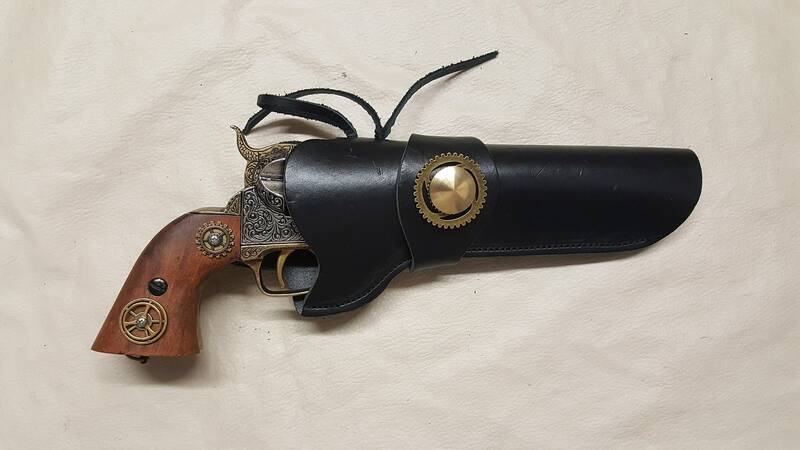 Various gears and findings have been added to give it a Steampunk feel. 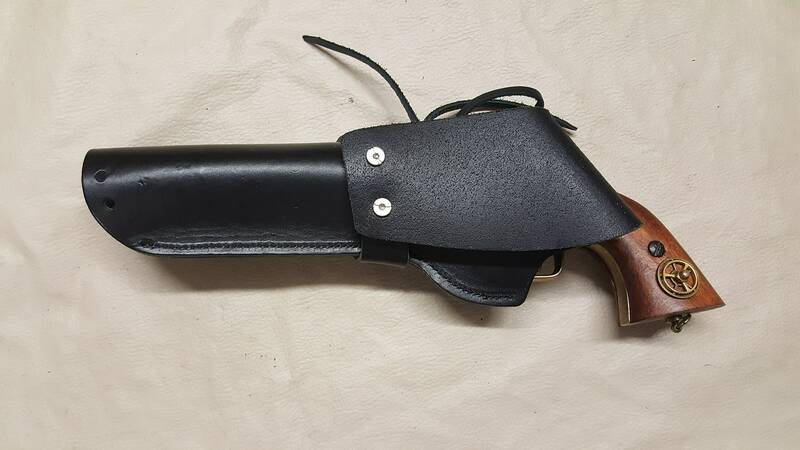 Gears have been added to the Black right hand leather holster as well. Very stout, very nice replica. 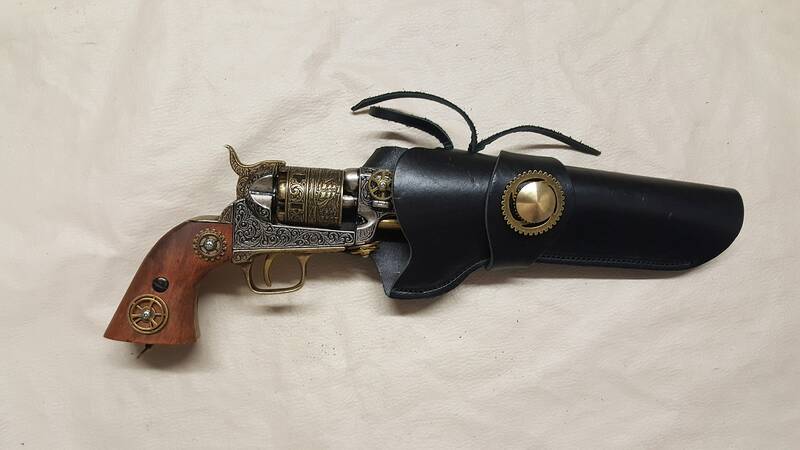 This is a non firing replica. Thanks for browsing. Please contact us if you have any questions.